Here is an easy way to meditate on the Our Father prayer, simply by saying it very slowly, very meditatively. We might say that the Our Father prayer contains an infinite amount of wisdom for leading the spiritual life – seeing that it comes from the very lips of Jesus Christ, the WORD made flesh. 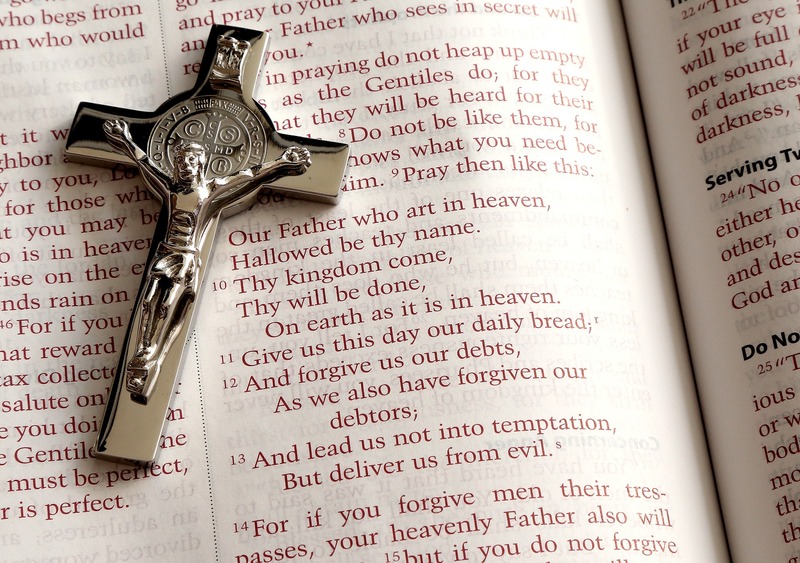 As the Catechism says, “The Lord’s Prayer is truly the summary of the whole Gospel” (CCC 2761). There is no requirement here of having to be a meditation guru! Meditation in the Christian sense is a deeper application of our understanding – with the help of grace – to the considerations and petitions present in the Our Father prayer. In other words it is a deeper reflection on the profound meaning of the prayer. The method of meditation recommended here comes from Saint Teresa of Avila who simply urges us to say the Our Father prayer very slowly. As we say the prayer slowly we have time to reflect on its profound meaning and application to our lives. I remember reading about a saint who could never get past the first line of the Our Father: as soon as she said, “Our Father,” she got caught up in the loving realization that God is our Father! “Let us every day say the Our Father slowly and with great attention; let us meditate upon it, with love accompanying our faith. This loving meditation will become contemplation, which will ensure for us the hallowing and glorifying of God’s name both in ourselves and in those about us, the coming of His kingdom and the fulfillment of His will here on earth as in heaven. It will obtain for us also the forgiveness of our sins and deliverance from evil, as well as our sanctification and salvation” (Providence, Chapter 18). imagination dwell on that single word. Conclusion: Saying the Our Father prayer very slowly, very meditatively is bound to do a “good work in your soul.” A good source for further reflection on this important prayer is in the Catechism of the Catholic Church (see CCC 2761-2865). But simply by praying the Our Father very slowly, very reflectively, with love in your heart for God, you will be meditating in a very effective manner!